Planning for August. Any tips for this trip, like whether there are enough gas stations within the range the tank, or if I need to bring spare fuel? Recommended places for food and shelter (or more importantly, places to avoid)? Plenty of crowded roads to ride, some interesting backroads without too much traffic and some popular very crowded roads. I hosted an assortment of roads for a ride. Blue Ridge Parkway is interesting for a short while, then boring. Dragon is best before the crowds arrive, so maybe stay close? The Skyway is my favorite. Plenty of gas all over. Seriously bad drivers there. Remain very vigilant. 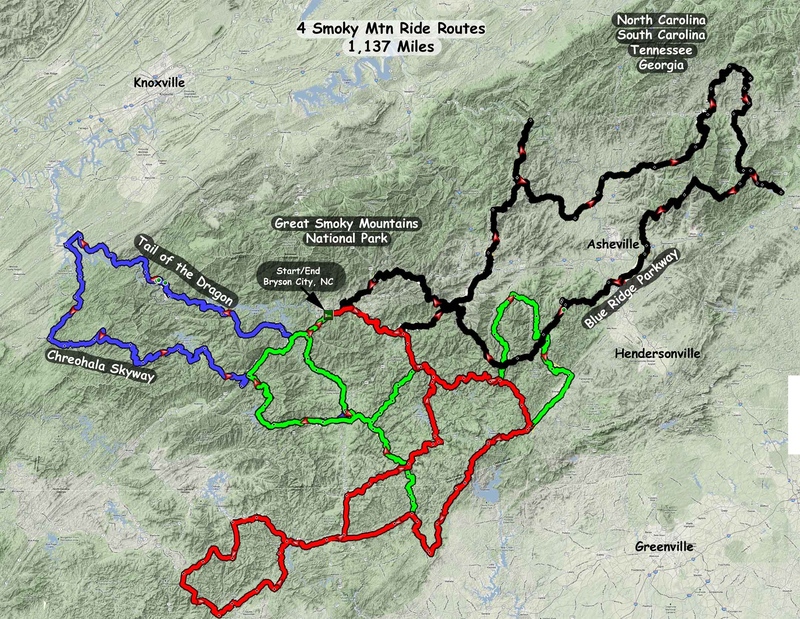 What makes Blue Ridge Parkway boring, and the Skyway not? Any recommendations for good food? The BRP has a low speed limit which can be very enforced. Trees, trees and more trees limit views. Popular with SLOW tourists with few passing zones. After the first million trees it looks all the same. The Skyway is completely different. Few tourists, great vistas and such wonderful curves. Food? I found food mediocre everywhere there. But then, I was there for the ride, not anything else. Horrible AT&T cell service too. My routes were the result of a year of research and incorporation of GPS routes from locals. Excellent mix of all sorts of rides. I'll be departing Elmira, NY, to Deals Gap, leaving on a Tuesday morning. Is BRP "boring" enough to warrant skipping it and just taking 81 all the way? That would save 8-9 hours, which I could spend more in the Deals Gap area. Alternatively, if I take Skyline Drive through Shenandoah Park as part of the route, it only adds 2 hours, and I'm guessing it would be a similar experience to the BRP, just shorter? My experience is limited to the routes I have shown above. Coming from Dallas, my approach and departure are to the west. 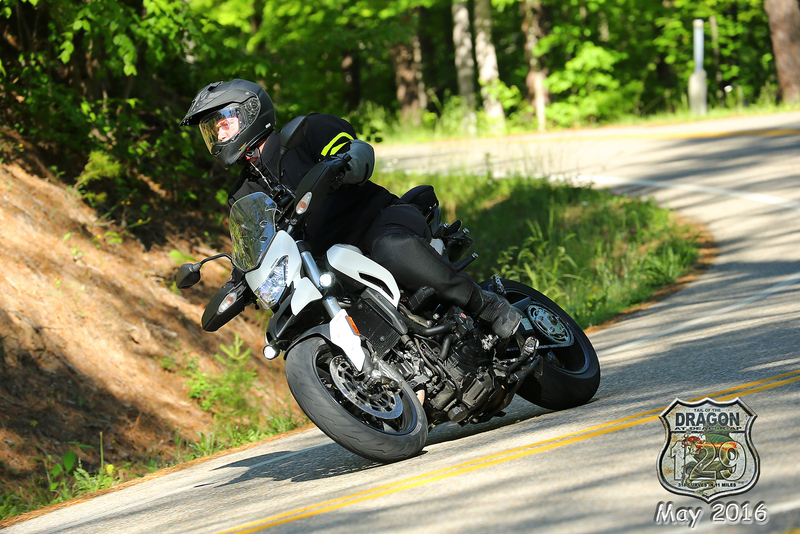 If you want to extend your ride, the Ozarks offer great roads with less traffic and friendlier people and law enforcement. As stated above I would give the BRP a miss. It gets very monotonous and takes forever. Skyline is a wonderful ride and if it only adds a couple of hours I would go for it.